The tradition dates back to the late 1800's when the availability of plate glass windows allowed retailers to build large windows to display merchandise to draw in customers, giving birth to "window shopping." 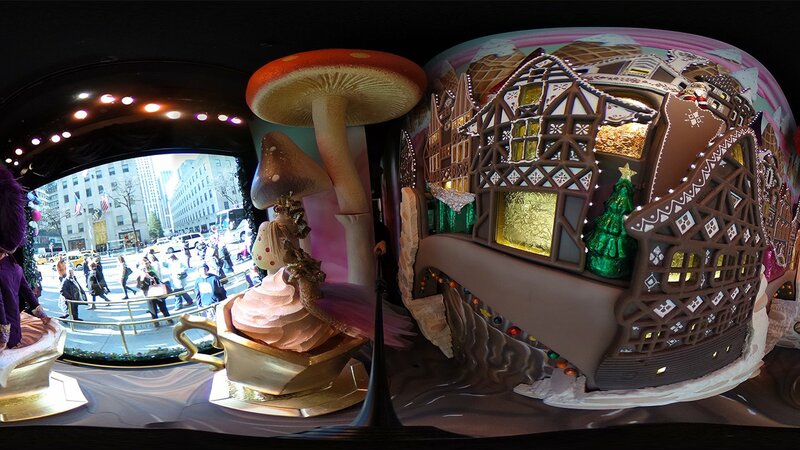 Saks' animated center six windows along Fifth Avenue, dubbed The Nutcracker Sweet, boast wondrous scenes of Clara and the Mouse King among a luscious wonderland. In the evening, the building's fade is illuminated by a multicolored ten-story tall light show, plays every ten minutes between 5 - 11 p.m. The show continues until January 2, 2017.